Tennessee Tourism Commissioner Susan Whitaker recently launched The Jack Trail. The sixth of 16 self-guided driving tours in the Discover Tennessee Trails & Byways program, The Jack Trail features 328 tourism sites spanning across nearly 350 miles in the mid-state, highlighting parts of Nashville, Davidson County, Murfreesboro, Bell Buckle, Wartrace and several other stops including Woodbury brimming with history, music and horses. The trail officially begins at the Downtown Nashville Visitors Center where guests can pick up brochures, maps and coupons before heading out to discover Tennessee's back roads. However, guests can choose to begin their journey at any site along the path. Once on the trail, guests can explore the historically-significant towns of Smyrna and Murfreesboro, visit the renowned Jack Daniel Distillery, not-so-typical American rum-making Prichard's Distillery, and explore the home of the world famous Tennessee Walking Horse National Celebration. Led by the Tennessee Department of Tourist Development, The Jack Trail is the result of multiple state agencies working together, as well as city and county officials in Davidson, Williamson, Rutherford, Cannon, Bedford, Coffee, Moore, Lincoln, Franklin, Giles and Marshall Counties. The special launch event was recently held at select trail sites, including Jack Daniel Distillery in Lynchburg, Oaklands Historic House Museum in Murfreesboro and Martin's BBQ Joint in Nolensville. It is significant that Murfreesboro is celebrating its 200th year and the Civil War marks 150 year anniversary. The Jack Trail is a road trip through Tennessee towns linked together by the history, music, horses, whiskey making and the lands that connect them. Visitors of the trail will be able to tap into their pioneer spirit at the many historical museums along the path, transcending themselves into another era by exploring the sites that witnessed the events as they unfolded. However, guests won't be stuck in time-next stop, Manchester, home of Bonnaroo, the music festival that continues to gain popularity and one of the 50 moments Rolling Stone magazine said "changed the history of rock and roll." Other attractions along the journey include three different distilleries and the towns that made the high-stepping Tennessee Walking Horses world-famous. The Jack Trail is the perfect blend of what makes Tennessee fascinating, showcasing our state's unique heritage including hundreds of miles full of historic sites, preserved homes and museums that bring the region to life. This trail will draw visitors to Tennessee from across the region and across the country, distinguishing our state as a must-see and ideal place to play and work. Among the many popular stops along The Jack Trail is the Jack Daniel Distillery in Lynchburg, Tenn. It is the oldest registered distillery in the United States and continues to use the same process Mr. Daniel used back in 1866. Many of the historic sites along the 348-mile Jack Trail require advance reservations, admission or both. Several of the historic sites along the trail are preserved homes, so guests are asked to please be respectful of those sites which remain as private residences. The Department of Tourist Development provides marketing support and branding starter kits for each new trail, including development of trail logos, design and oversight of the award-winning Discover Tennessee Trails & Byways website at www.tntrailsandbyways.com and creation of a comprehensive trails brochure highlighting attractions, culinary, agritourism, outdoor recreation, shopping, history, culture, music and much more, along the trail. Readyville Mill – Located along a beautiful stretch of the historic roadway between Murfreesboro and Woodbury. Charles Ready opened the first mill here in 1812, starting nearly 200 years of milling along the East Fork of the Stones River and driving the economy for the surrounding area. Today, the mill still grinds and sells cornmeal, and hosts weddings and other events on its beautiful blooming grounds. This stop is also part of the Trail of Tears National Historic Trail. Arts Center of Cannon County -- Host to the annual White Oak Craft Fair that draws more than 40,000 visitors every fall, the center also produces local traditional music concerts and recordings, and theatrical productions. Visit the museum and gallery for exhibitions, or stop by The Kitchen at the Arts Center for some perfected local comfort food. Woodbury Flea Market -- With more than 80 booths here, you’re sure to find just about everything you're looking for. Higgins Moonlight Drive-In -- Pack up the family car and enjoy new release movies beneath the starlit sky at this popular theater. Downtown Woodbury -- Nestled in the rolling hills of scenic Middle Tennessee, the seat of Cannon County has witnessed so much history. The Trail of Tears passed though the square in 1838, as thousands of Cherokee were forced to relocate to present day Oklahoma. During the Civil War, Local citizens welcomed and fed soldiers commanded by Confederate General Nathan Bedford Forrest here before they continued westward to the attack Murfreesboro in 1862. 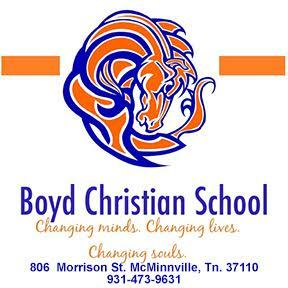 Also on the driving tour are Joe's Place, DJ's Pizza & Steak House, Antiques on the Square and the Old Feed Store Antique Mall. Unfortunately, the trail then backtracks down John Bragg Highway to Bradyville Rd and out toward Beech Groove heading for its namesake the Jack Trail leads home to Jack Daniels Distillery. The web site - www.JackTrail.com – is noticeably slow to load because of the large amount of graphics and the search engine totally skips any mention of local lodging such as the Cannon Inn which is so vital to keeping tourist in town contributing to our economy. While the Jack Trail is a good start, the mission of Cannon County officials and business as a group need to be to maximize the economic contribution of the Jack Trail to our tourism industry locally by developing and marketing Woodbury as a premier destination. How sweet it would have been to have the Jack Trail tour meander to the Short Mountain Distillery and back down to the Cannon Inn for an overnight visit that included taking in a movie at the Moonlight Drive-In. 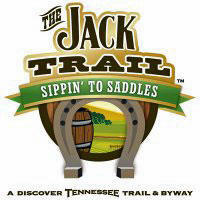 For more information on The Jack Trail, contact Cindy Dupree at cindy.dupree@tn.gov or visit www.JackTrail.com.